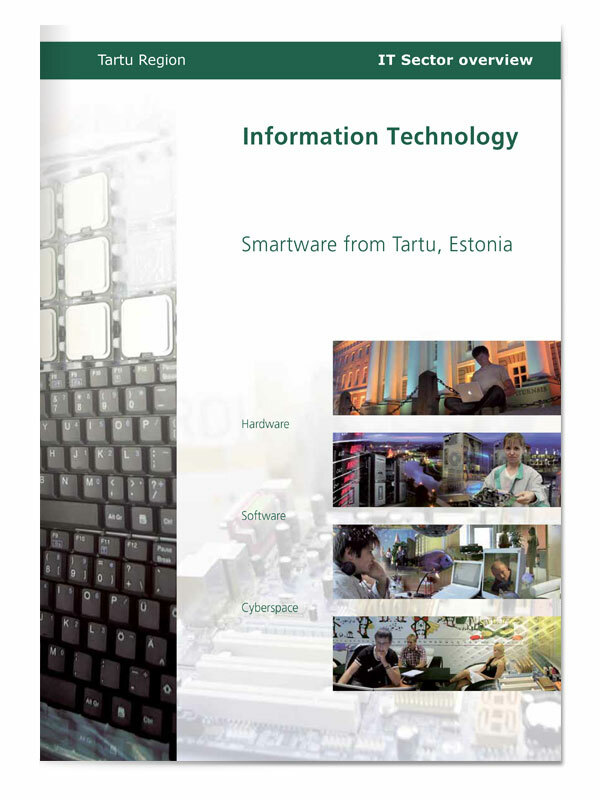 Guidelines were introduced to coordinate the visual style of publications by Tartu City Government. Some simple rules such as a horizontal green band with topic information in a Verdana font and a vertical strip on the left for a graphic or photographic element. The front cover and body of the brochure are structured like the all others in the series. 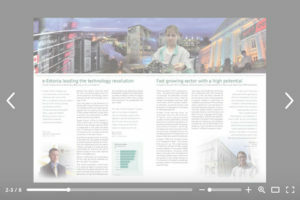 Information is provided at a variety of levels, starting with a large horizontal photomontage across the two-page spread, a heading, sub-heading, body copy, pull quote testimony with a photo of a named expert in the sector, plus a web address listing of leading local enterprises in the sector.